While the two increasingly dehydrated and sleep-deprived boys are locking lips, they become a focal point in the lives of other teen boys dealing with languishing long-term relationships, coming out, navigating gender identity, and falling deeper into the digital rabbit hole of gay hookup sites - all while the kissing former couple tries to figure out their own feelings for each other. This follow-up to the best-selling Every Day showcases David's trademark sharp-witted, warm-hearted tales of teenage love, and serves as a perfect thematic bookend to David's YA debut and breakthrough, Boy Meets Boy, which celebrates its 10th anniversary in 2013. Two Boys Kissing is a powerful book with a unique voice. 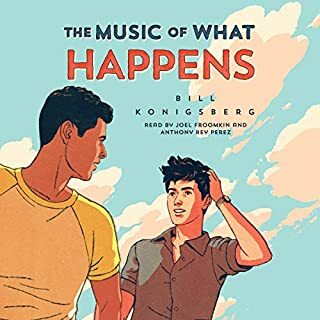 It’s narrated by the spirits of gay men who died of AIDS and watch and wonder over the current generation of gay males. A series of character vignettes intersect to show the contrast between then and now- how things have changed and how they have remained the same. The backdrop of the two boys kissing for the Guinness Book of World Records is the link that binds the characters together. 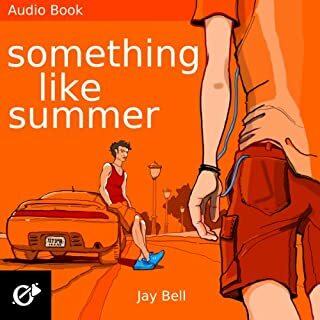 We follow several teen boys throughout the book: The two boys kissing are exes Harry and Craig, Neil and Peter are in a long-term relationship, transgendered Avery meets Ryan, and Cooper is getting lost in the digital dating world. Each person has their ups and downs over the course of the book, and there are examples of good and bad parenting and coming out experiences. Cooper’s story probably got to me the most, and like the narrators of the book I wanted to reach out and help him through his crisis. 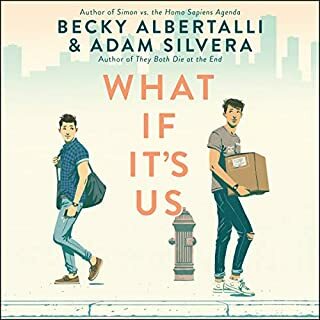 The ghost narrators see the familiar and unfamiliar in the world of today’s gay teens, from bullying and unaccepting parents, to gay proms and the rally of support of two boys kissing. I remember the early days of the AIDS pandemic so that colored my reading experience and made it hit home all the more. The voices from the past give contextual relevance to the events taking place in the present, and you can feel the collective sorrow, joy and hope in their words. 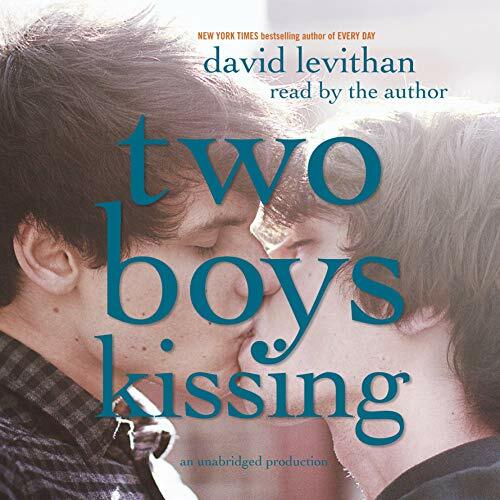 I listened to the audiobook, read by the author himself, David Levithan. I think it’s my first time hearing the author’s voice, and there’s always a part of me that worries when an author chooses to read their own work rather than leave it to the professionals. But, in this case Levithan delivers the book’s narration expertly, and I can’t imagine anyone else reading it. When an author can do voice work I think it’s great that they narrate their work- who else knows the book better, right? Levithan expertly conveys the emotional state of mind of the different personalities and brings the stories to life. There are several generations of voices and personalities in the book, and Levithan gives each a distinct delivery. With the books unique narrative the audiobook helped me keep track of all the characters and made the message resonate even more. This book and Every Day are my favorite Levithan books and I think Two Boys Kissing is very relevant and moving. I was connected to the story through Levithan’s gorgeous words, and found the voices of the narrators meaningful. Amazing. One of a kind book. Made me cry but also feel the pain of what the characters felt. If you buy this book, also buy a box of tissues. First, the performance: you should know that this novel is narrated by the author, not by a professional actor. Some might find his voice nasal. That said, he is a wonderful reader. Not surprisingly, his performance brings a great deal of intelligence and emotion to the novel. Second, the novel is fantastic. 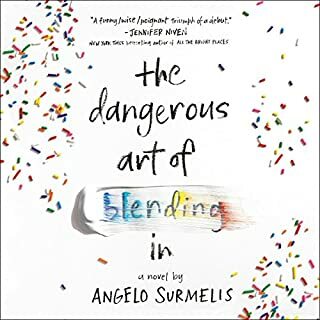 If you are turned off by the idea of reading a YA novel with a light-hearted title, don't assume that the book is unserious or one-dimensional. While it honestly deals with the perspectives of young people, it does so in the voice of experience, loss, and well-earned hope. It's four stories intertwined in a two day period. I'll call them the kiss, the couple, the prom, and the lost. The narrator is like the collective LGBT and AIDS victims in o1ne watching over us and seeing who we are. The emotions following these characters through this small window of their lives. It makes us remember those that came before and after us. It reminds us how far we've come and how much we still need to do. How thankful were you for those that supported you when you came out. The pain from those that turn thier backs on you when you told them. You will feel a lot from the two day look into these lives. This book is a great book, it brings you back into the feelings for being a youth and finding your first love or loosing it. It also reminds us of the love of our plants and how strong it was and for those with parents who supported us it is a great memory to never loose. With having so many Trans friends in my life I think the Author handled this with the raw part of love sees love for all and accepts youth has that some adults don't have. It was a beautiful store line. Over all the hold book was great and defiantly is an emotion look back. Nuff said. This book is sad and gorgeous and funny and tragic and gives you tons of feels. Wow. I originally listened to this book back in 2013 or 2014. I remember having to wait several minutes in my car to clean up the tears at the end. In 2015, as I was listening in the Supreme Court to Justice Kennedy read his decision in Obergefell I pictured those we lost to homophobia rejoicing as I’m sure would have happened in this story. Please read this book. I love this book because the characters remind me of people that I know. They have public personas and inner struggles. They are like teenagers everywhere. They are gay boys. They are brothers, friends, students, boyfriends, sons... just boys, but not just boys. They carry the weight of everyone else’s burdens along with their own. 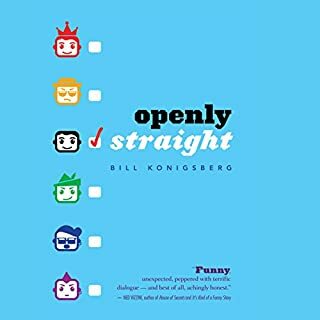 I recommend this book to anyone who is gay or loves a gay teenager or knows a gay teenager. Interesting premise and story notwithstanding all the teen angst. However, author's monotone and affected speech made it very difficult to distinguish characters from narrator and narrator from the characters.